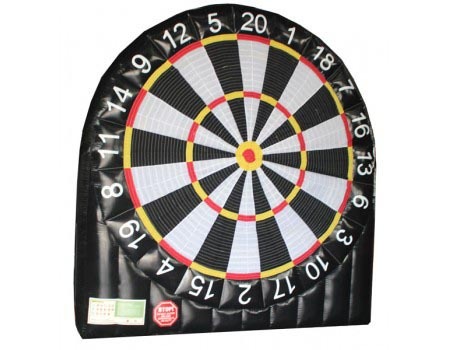 Your aim is the game with Soccer Darts Inflatable Game! 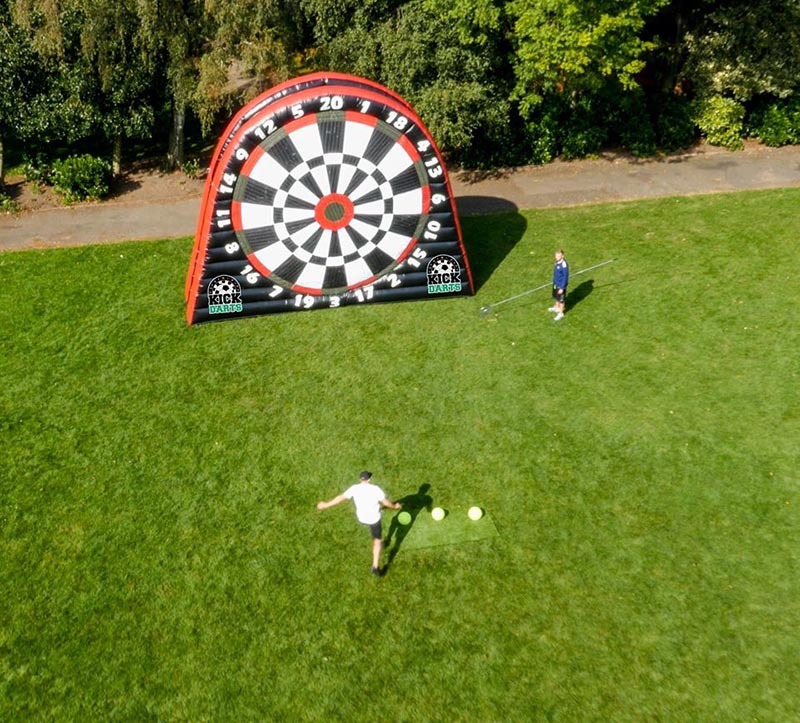 Step up to the plate and test your aim, kicking soccer balls onto the velcro target to get the highest score and a coveted bullseye! The Target Kick Game is a great interactive attraction for all ages and all event and party types. Rent the Inflatable Target Kick Game for birthday and graduation parties, family reunions, youth group events, church and school carnivals, and community events!